Optical illusions might be all fun and games for the art world, but in a few countries, they're a matter of safety. 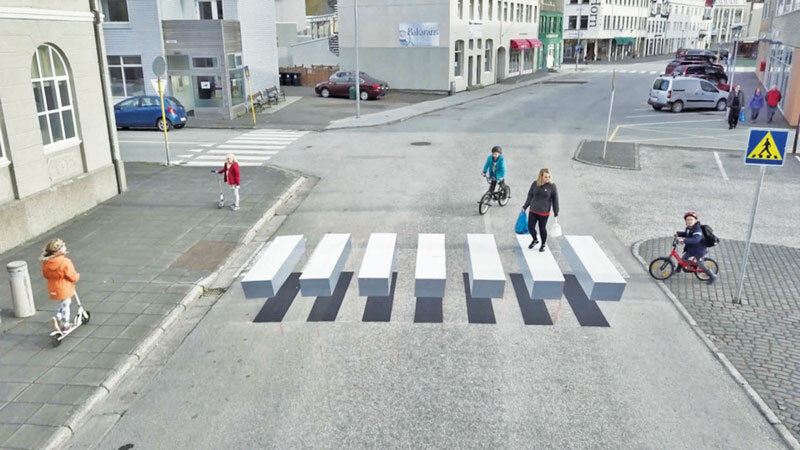 Montreal recently became one of the few cities in the world to implement a 3-D crosswalk, an optical illusion using white, black, and gray paint to make it look as though the white lines are hovering on the street. Its purpose is to slow drivers down on the road in order to prevent pedestrian accidents. The Outremont borough of Montreal installed a 3-D crosswalk earlier this month, noting that it chose a corner with a history of pedestrian accidents over the last decade, but also because it is a slower traffic area.